About a year ago, the folks at The BarkPost went to the Wolf Conservation Center in South Salem, NY to say hi to some wolf pups and learn some awesome stuff about wolves, dogs, and how they collide. At the WCC they host packs of two endangered species of wolf, the Mexican grey wolf and the red wolf, and currently have three Ambassador wolves (Atka, Alawa, and Zephyr) who are used to interacting with people and participate in educating the public about their endangered brethren. The WCC also recently welcomed a new wolf pup, Nikai, who is a burgeoning internet sensation and a future Ambassador wolf, but for now she’s just insanely adorable. 3. 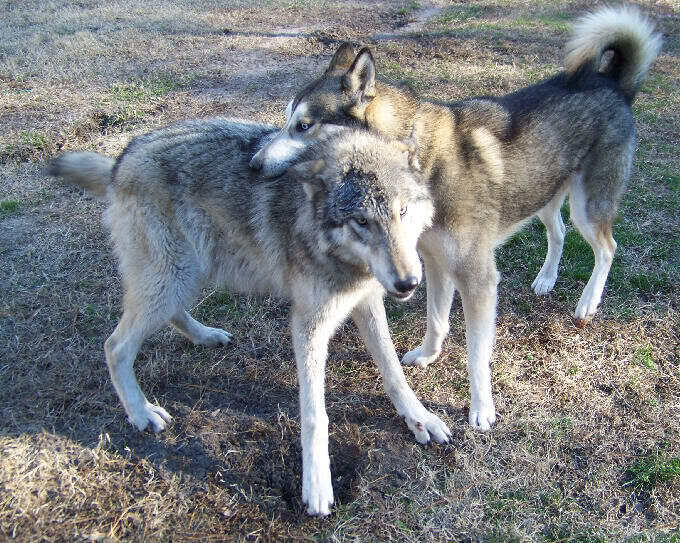 In order to socialize them early, it helps for Ambassador wolves to have puppy playmates. Not to mention it’s just super cute. 5. To ease red wolves back into autonomous packs, conservations like the WCC will insert newborns into litters of red wolves in the wild.